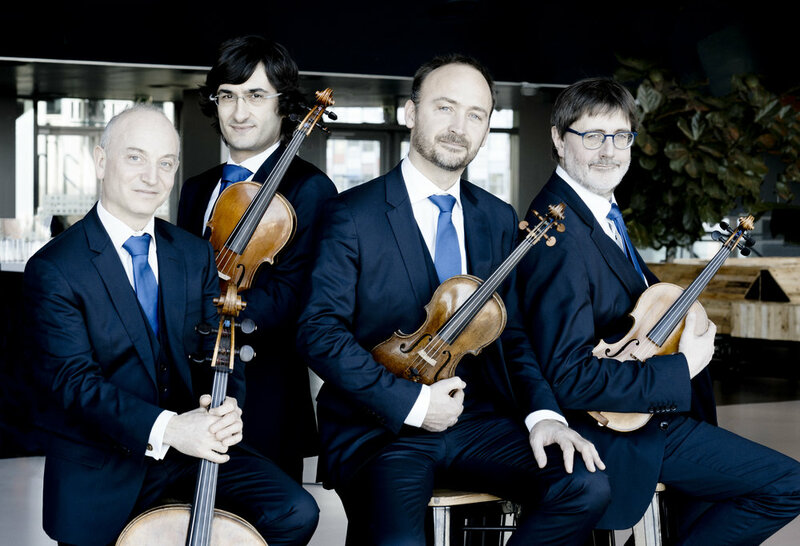 The Quatuor Danel has been at the forefront of the European music scene for twenty years, and with their bold, vibrant, concentrated performance style caused a sensation with their debut North American tour in 2015-16. Subsequent tours have taken the Quartet to the major series and cities in the United States and Canada, including concerts at New York’s Frick Collection and The Clarice Smith in Maryland, and in San Francisco, Montreal, and Washington, D.C. The Danel has worked closely with Valentin Berlinsky from the Borodin Quartet and Irina Shostakovich to refine the deeply personal interpretations of Russian music for which they are revered in Europe. 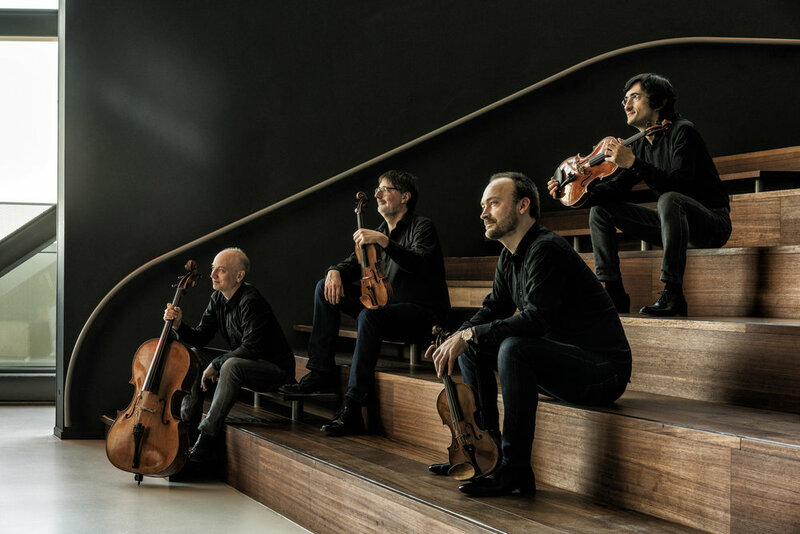 At the very heart of the Quatuor Danel’s work lies their ambassadorship for young musicians in general and string quartets in particular. As the artist-in-residence at the University of Manchester (England) since 2005, the Quartet works closely with students, with teaching and master classes as a fundamental part of their activities. The ensemble is famous for its deeply personal interpretations of the string quartet cycles of Haydn, Beethoven, Schubert, Shostakovich, and Weinberg, and their lively and fresh vision of traditional quartet repertoire has won them lavish praise from both the public and the press. 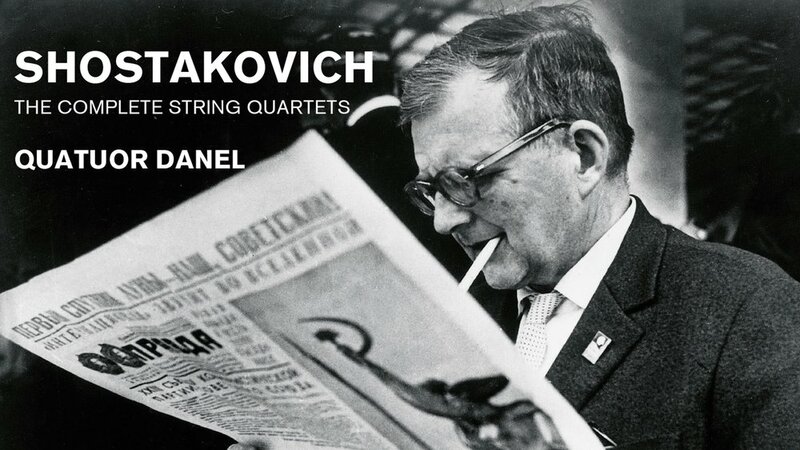 In addition, Russian composers have a vital place in the Quatuor Danel’s repertoire: they have championed the string quartets of Shostakovich, and their recently reissued recording of the complete cycle is considered one of the benchmark interpretations of these quartets. Over the past three years the Quatuor Danel has recorded the previously unknown quartet oeuvre of Mieczyslaw Weinberg, the neglected contemporary of Shostakovich, for the CD label CPO. The Quartet will continue to offer this breathtakingly beautiful repertoire in coming seasons. In addition, they have collaborated with major contemporary composers such as Wolfgang Rihm, Helmutt Lachenmann, Sofia Gubaidulina, Pascal Dusapin, and the stars of the younger generation including Jörg Widmann and Bruno Mantovani. In addition to their advocacy for Russian music, the Quatuor Danel has a particular passion for teaching young musicians in general and string quartets in particular: as artist-in-residence at the University of Manchester the Quartet has worked closely with students and also with musicologists Barry Cooper and David Fanning. The Quartet’s upcoming concerts will take them to the major halls in Brussels, Amsterdam, Moscow, Paris, London, Madrid, Vienna, Berlin, Beijing, Tokyo, and New York. 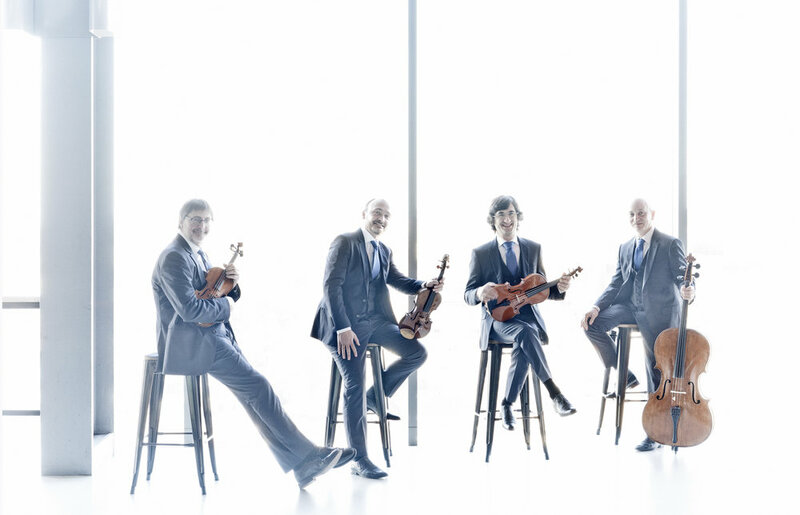 The Quatuor Danel is a regular guest at the major European festivals, and performed at the Ottawa ChamberFest in both 2016 and 2018. Recent and upcoming recording projects consist of the three Tchaikovsky quartets, the Quartet and Piano Quintet by Franck with pianist Paavali Jumppanen, and a longer-term project combining all the string quartets of Haydn with late Beethoven. 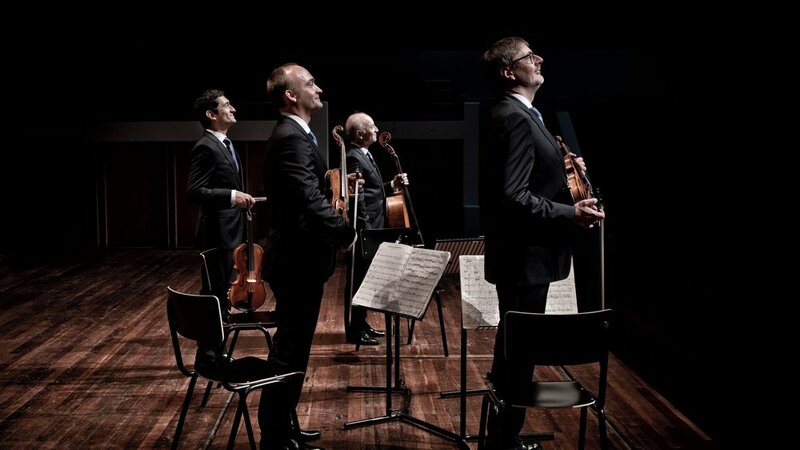 The Quatuor Danel is sponsored by SPEDIDAM: SPEDIDAM (Society of Receipt and Distribution of the Royalties for Artists in Music and Dance) is an artist society that manages the rights of artists (including musicians, members of choruses, or dancers) in recording, broadcasting, and the use of recorded performances. 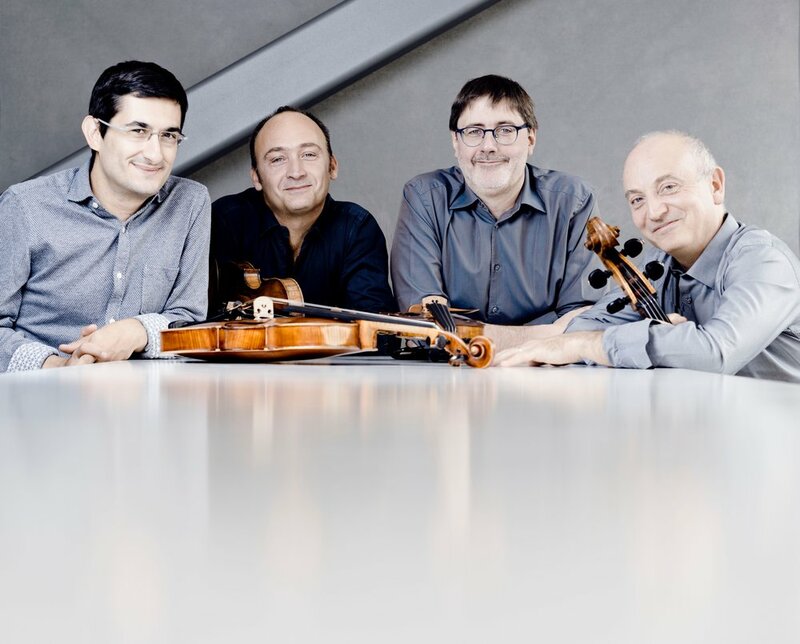 The Quatuor Danel has been at the forefront of the European music scene for twenty years, and is known for its bold, concentrated interpretations of Russian music as well as for the group’s polished, expansive sound. Joining the Danel in 19/20 is one of the most exciting young artists today, pianist Lise de la Salle, who has been praised for her “hair-raising performance” (Los Angeles Times) and “depth as well as virtuosity” (The New York Times). Together these artists promise a powerful program concluding with the Shostakovich, Weinberg, or Franck quintet. The Quatuor Danel regularly performs the two great 20th-century Russian string quartet cycles: the fifteen quartets by Shostakovich and the seventeen by his friend Mieczysław Weinberg (1919–1996). The Danel was the first ensemble to play the complete Weinberg cycle live, in Manchester and Utrecht and will be the first to do so in North America with those landmark performances scheduled at The Phillips Collection (Washington, D.C.) in May 2019. It was thanks to the Shostakovich that Weinberg was able to settle in Moscow in 1943 (having fled his native Poland) and the two became lifelong friends. Shostakovich described Weinberg as “one of the outstanding composers of today.” Weinberg claimed that the older composer introduced him to a “new musical universe.” As a Jewish composer living under Stalin, Weinberg endured numerous personal attacks in the official press and an arrest in 1953. It was again thanks to Shostakovich’s intersection that Weinberg was released from prison two months later. Weinberg never compromised as a composer, remaining true to himself, whether in his remarkable series of symphonies, in his opera The Passenger, or in this extraordinary cycle of string quartets.